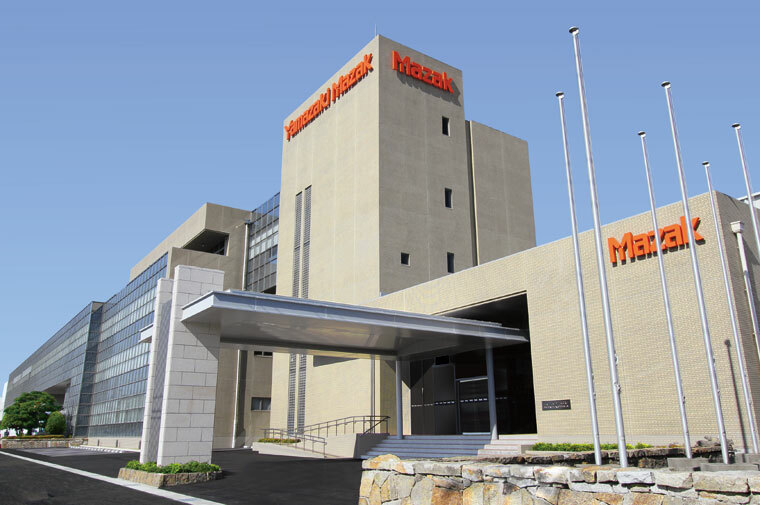 The company headquarters is located at the Oguchi facility, where a wide variety of machine tools are developed with state-of-art production technology. The R & D departments in the overseas production facilities (U.S.A., U.K, Singapore and China) quickly incorporate the requirements of local customers into the machines produced there. 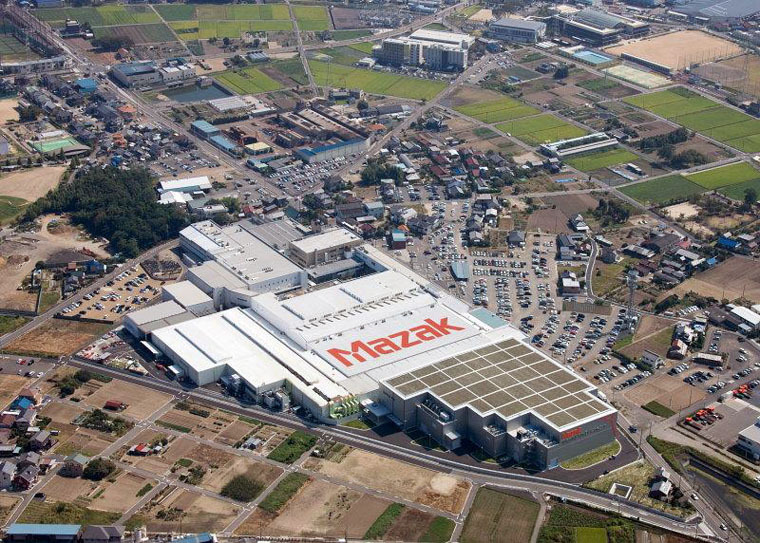 Headquarters, produces leading-edge horizontal machining centers, multi-tasking machines, and FMS. To provide high quality machines to customers as fast as possible, we use equipment such as a highly-advanced FMS lines and laser processing system. 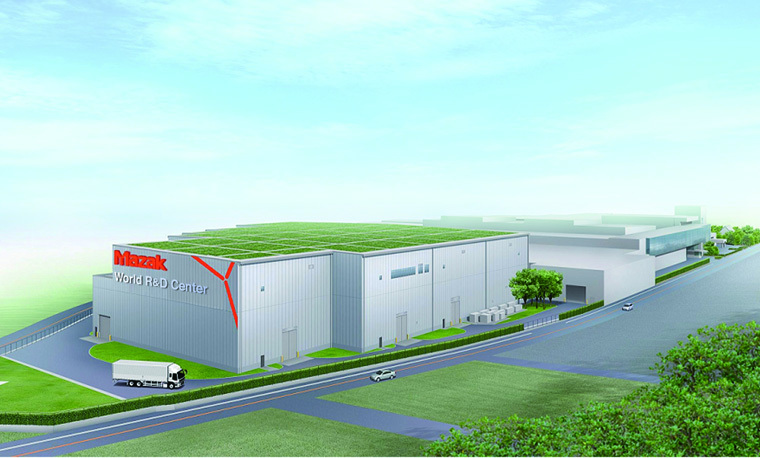 The World R&D Center was established to efficiently develop new machines. Not only by reducing the development lead time, but also by assigning dedicated evaluation engineers, innovative machines are developed with high reliability. This plant has a “living green roof” on which moss is growing to effectively serve as insulation and to minimize the heat-island effect. Since the area of the green roof is 7400 m2 (79652 ft2), the moss absorbs a considerable amount of CO2. 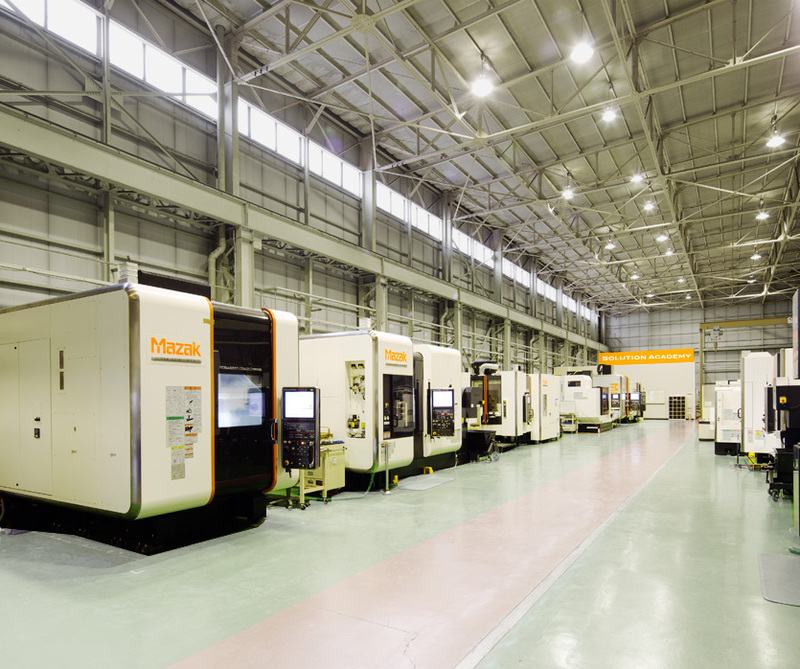 Mazak multi-tasking machines have been well accepted by customers from all over the world since we delivered the first machine incorporating our “DONE IN ONE” concept. INTEGREX has become a metalworking-industry synonym for a multi-tasking machine. The Solution Academy is established for the training of INTEGREX and other multi-tasking machine operators in order for you to realize the full potential of your Mazak machine. A 5 minute walk from headquarters, the guest house is located next to the Solution Academy. 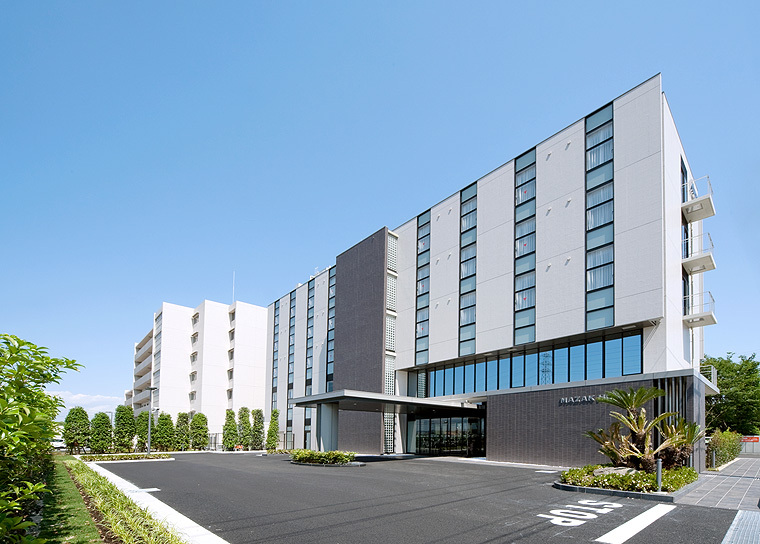 There are 49 guest rooms, restaurant & bar, a large public bath with jacuzzi and sauna. Guests, including school participants, can enjoy all the comforts there. Follow Tomei expressway from Komaki interchange to Inuyama. Drive time: 15 min.